This is a super easy pattern and quick to make. I made this one for myself to wear every day. I just love the wooden beads. 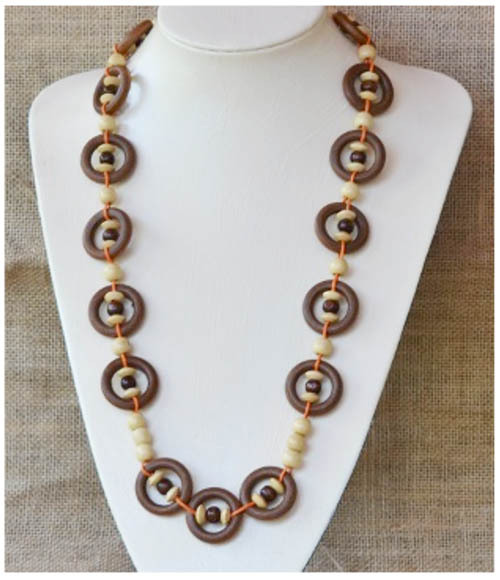 Beads Used: 30mm wooden rings, 10mm rondelle wooden beads, 8mm round wooden beads, 10mm round wooden beads.